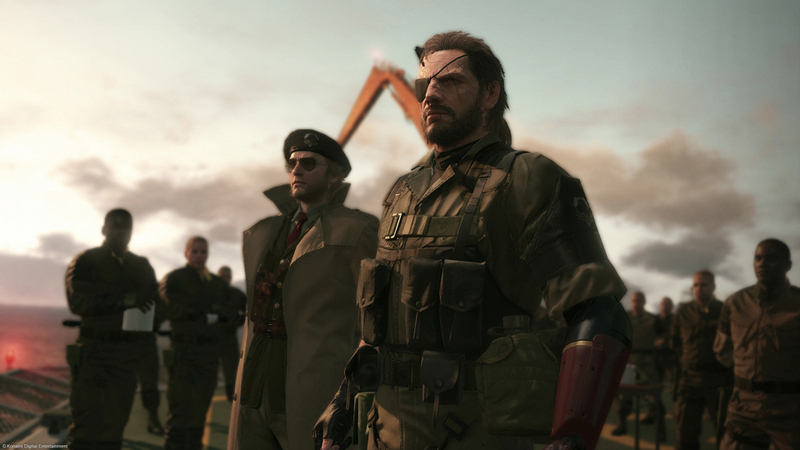 ‘The Phantom Pain’ is bringing its very real hype to our E3 2015 hype train. One-sentence pitch: Hideo Kojima’s final ‘Metal Gear’ game marks the first truly open-world entry in the stealth franchise, while also promising to bring the 27 year “saga of the Snakes” full circle. For many years now, the Metal Gear franchise has been my favorite game series of all time. My love affair with the series began with the PlayStation masterpiece Metal Gear Solid, but since then, I’ve played every single thing that was even remotely connected to Hideo Kojima’s brilliantly crafted universe. Alas, all good things must come to an end, and it appears as if Kojima’s time with the franchise is coming to a close. A new Metal Gear on its own is normally enough to get me hyped, but having it be Kojima’s swansong brings it to a whole new level. He appears to be pulling out all of the stops this time, with The Phantom Pain marking the first truly open-world entry in the series. The gameplay we have been shown so far is chock full of new gameplay elements that promise to help us experience Metal Gear in a whole new way, and I can’t wait to sneak around the game’s massive open-world environment with all of Snake’s new toys. It wouldn’t be a Metal Gear game without a cast of fascinating characters, and The Phantom Pain looks like it’s going to have one of the most diverse casts in the series’ history. Following on from the devastation in Ground Zeroes, Snake and Kaz will be joined on their quest for vengeance by a host of new and returning characters. Old favorites such as Ocelot and Huey will be returning, and they’ll be joined by new characters Quiet, Skullface and the adorable D.D. to name but a few. There’s also the case of some mysterious figures who may be returning from the franchise history, such as Volgin and Psycho Mantis, but it’s still mostly unknown what kind of role they’ll play in the story. The story appears to be dealing with some very taboo subjects this time around, such as child soldiers and maybe even racism. Considering that this is a prequel, we already know the fates of several of these characters, so we can expect the story to finally fill in all of the details of their meteoric rise, or their devilish fall. In true Kojima fashion, The Phantom Pain was originally unveiled at the 2012 Spike Video Game Awards as a non-Metal Gear game, developed by an entirely different game studio. The original trailer was peppered with clues and it wasn’t long before the truth was revealed, and in March 2013, it was officially revealed that it was indeed Metal Gear Solid V. Since then, five separate trailers have been released, showcasing the game’s new gameplay elements along with teasing the story. Controversy has never been too far away from the game, with the appearance of the character Quiet receiving a lot of backlash. The most controversial move, though, was Kojima’s decision to replace the regular Solid Snake and Big Boss voice actor David Hayter with Keifer Sutherland. It is a move that has split the fanbase, while also providing a lot of fodder for various conspiracy theories over a secret role for Hayter in the game. Earlier this year, rumors started circulating about Kojima leaving his position at Konami. Various conflicting reports said he was either fired or resigned, with the future of the Metal Gear franchise being left in doubt. Following some restructuring at Konami, the Kojima and Kojima Productions logos were removed from promotional material for The Phantom Pain, sparking further worry amongst fans. Konami finally released a statement to allay fans’ fears, stating that there was some internal restructuring, but Kojima and his staff would still be continue work on The Phantom Pain until everything was finished. While nothing has been officially confirmed yet, with Silent Hills getting cancelled and Konami already searching for staff to create a new Metal Gear game, it’s nearly absolutely certain that this will be Kojima’s final Metal Gear. After all of that controversy about Kojima leaving Konami, it’s going to be a strange E3. The game is confirmed to have a presence there, but it remains to be seen whether Kojima himself will be in attendance. There’s not actually a hell of a lot more to say about the game at this stage, so E3 should just be about providing a steady base to launch the game from. That Sept. 1 release date isn’t too far away now, so I’m expecting an extended trailer that mainly cuts together a lot of the stuff we’ve already seen. There’ll also be a bit more emphasis on the online portion of the game, with there being a good chance that a Metal Gear Online 3 beta will be announced. Other than that, I wouldn’t be expecting too many surprises, but perhaps cross your fingers for a Kojima appearance. We don’t have very long to wait now until Metal Gear Solid V: The Phantom Pain makes its final E3 appearance. Fans have been worried about the game ever since the Kojima news broke, so E3 can act as the perfect place to settle everyone’s nerves. Following on from E3, there’s only a little over two months until the game releases, so let’s hope that E3 2015 will only make us more excited about one of the biggest games of the year. 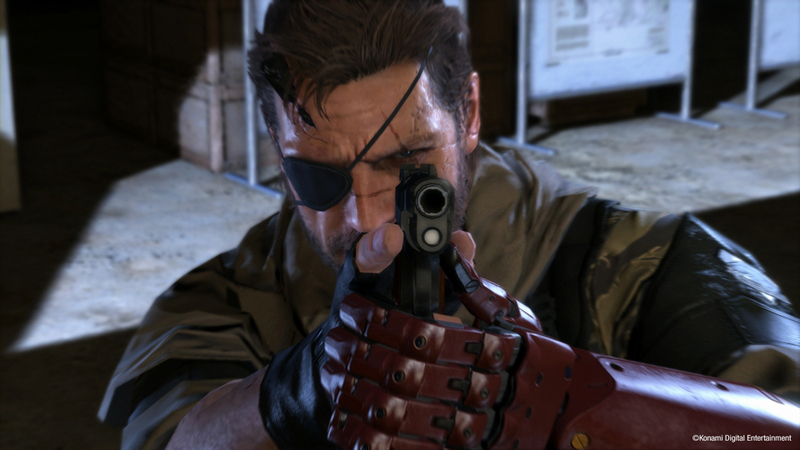 Has the furore over Kojima’s position at Konami made you worried about MGSV? And what are some of the things that you would like to see from the game at E3? Tweet me @OldSnake24. And be sure to follow us @YouNerded!